Perhaps the most inaccurate stereotypes you might come across are those related to Arabs. The Arab world hosts around 400 million people (almost 80 million more than United States’ population). The difference is that the Arabic population can be found in 22 different and independent countries located in the middle east and Africa. Some of the most common stereotypes could be applicable to the population of one or few Arabic countries but not the whole Arabic world and some other stereotypes are just plain wrong. Most of the international knowledge associated with Arabs is the outcome of the news and media. So the images associated with the Arabic world are related to catastrophes and unfortunate events and rarely reflect the reality of life in the Arabic world. In the first part of this article, I will address the most common misconceptions about Arabs. In the second section of this article, I will present some true facts about Arabic people in general. In the third part, I will discuss regional or country specific stereotypes. Wrong, most Arabic people are Muslims but not all. Example 40 % of Lebanon’s population, 10 % of Syria’s Population and 10 % of Egypt’s population are Christians. Wrong, less than 20% of the world’s Muslims do reside in Arabic countries. The total population of Muslims in Arabic countries (all 22 countries) is 322 millions compared to 205 millions in Indonesia, 178 millions in Pakistan, 177 millions in India, 148 millions in Bangladesh, 75 millions in Nigeria, 74 millions in Iran and 74 millions in Turkey. Lebanon and the western side of Syria. 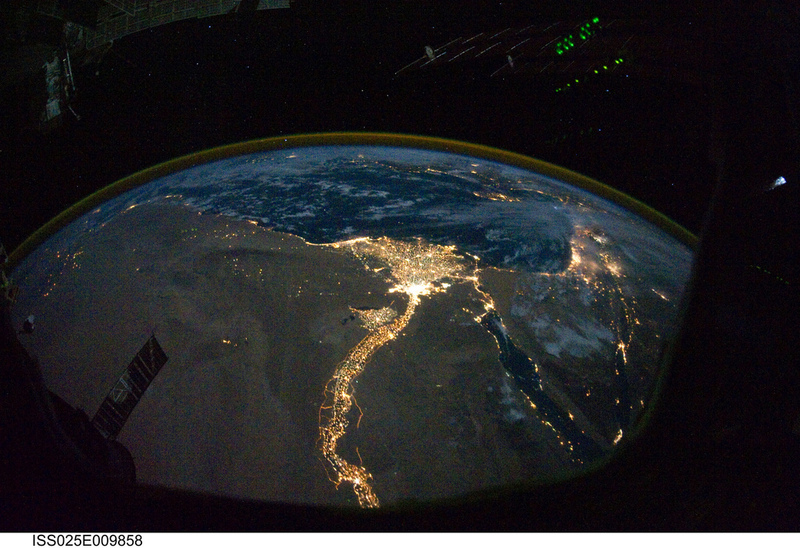 The region surrounding the Nile in Egypt. The northern part of Tunisia, Morocco and Algeria on the south coast of the Mediterranean sea. The Arabic population doesn’t ride camels and live in tents. 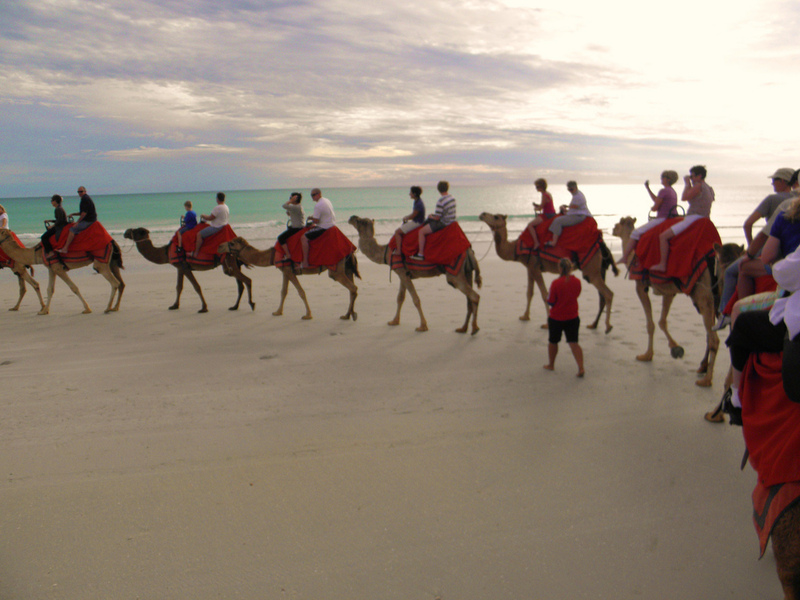 Camel riding and farming in the Arabic world is rare and is simply used as a tourist attraction or for sportive purposes, similar to equestrian or horseback riding. 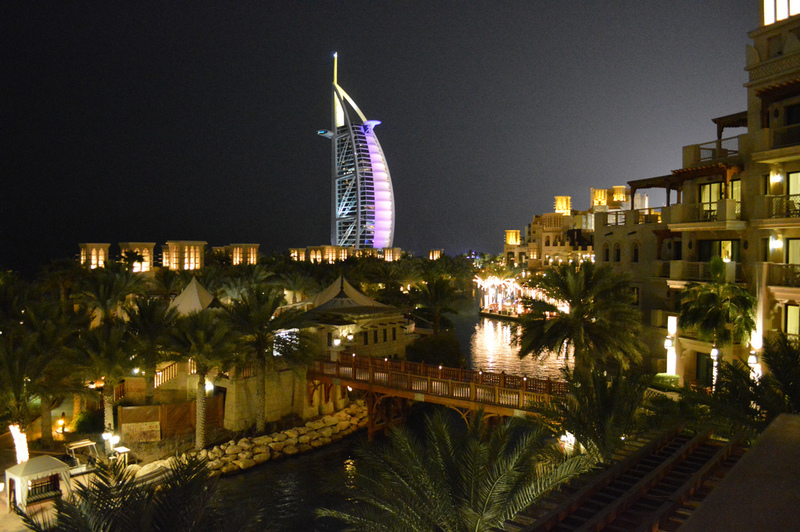 beautiful and modern cities like Dubai and Qatar. 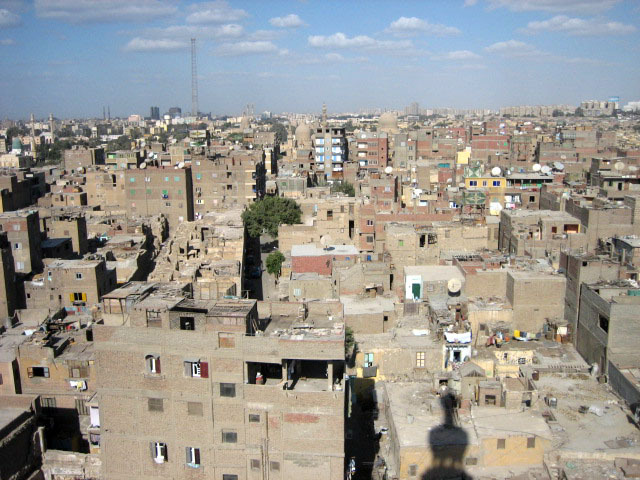 extremely populous regions such as Cairo. Wrong, The dish-dasha is what men in the Persian gulf region wear. This includes United Arab Emirates, Qatar, Kuwait, Bahrain, Oman, Yemen and Saudi Arabia, the rest of the Arabic region doesn’t wear the dish-dasha. Regarding the Hijab, not all Arabic people are Muslim and not all Muslims do wear the Hijab. Example, the percentage of Arabic Women wearing the Hijab in Lebanon, doesn’t exceed 20% of the female population (rough estimate). 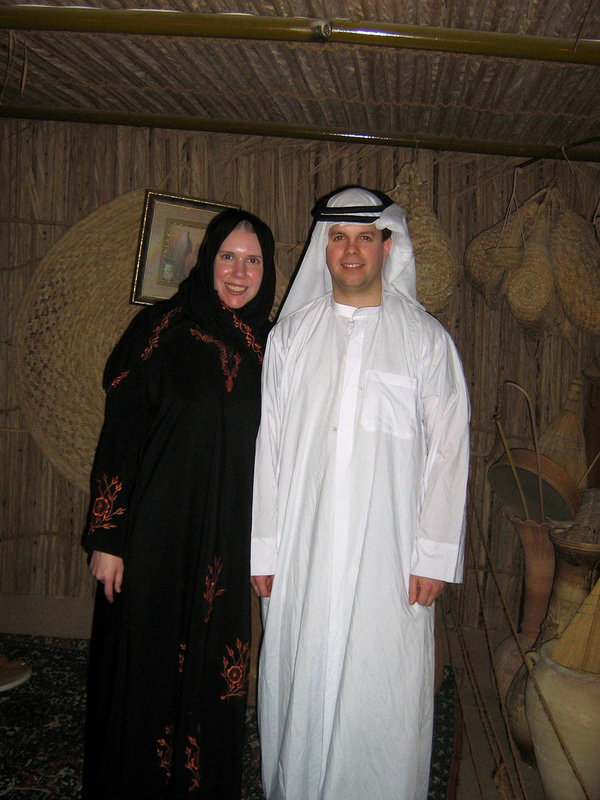 Tourists from the UK in Dubai wearing UAE’s Traditional Clothes, the Dishdasha and the Black Abaya with the Hijab. Wrong, the oil rich countries are Iraq, Algeria, Libya, United Arab Emirates, Qatar, Kuwait, Bahrain, Oman and Saudi Arabia. Another important point is, not all citizens of the oil rich countries are rich; many citizens of the oil rich countries live a very modest life. Absolutely wrong. The extremist Islamic Jihadist comprise minorities in the Arabic region. The majority of the Arabic population are not different than any other culture and share with the rest of humanity their love of life and peace. A very offensive and false stereotype. Arabic people are very family oriented and Arabic men are over protective and supportive towards their family in general and wives in particular. Any Arabic wife beater individual is despised by the Arabic society. The sad story though is that in general, most of the legal systems in most Arabic countries are a joke and not all those who break the law do face proper punishment. Arabic people are family oriented. This means that children do not leave their parent’s house until they have a family of their own (get married). It is also very uncommon for families to place their parents in houses for the elders. Most Arabic societies are very conservative. Most young men and women are expected to marry someone from their religion and preferably form the same country. However, there are many exceptions; newer generations are less conservative and many youngsters are not adhering to their parents’ expectations and are breaking the social norms and traditions. I have been told many times, by non-Arabic speakers, that when people are having a conversation in Arabic, it always seems like these people are fighting with each other. Perhaps this is the reason why Arabic people are described as or stereotyped to be loud. Though very diverse in its dialects, the Arabic language is generally considered to be rough; that could be due to the use of the sounds or letters (ق ح خ ع), which are almost impossible for non-Arabic speakers to even pronounce. While I do agree with this stereotype, I would like to add that there are many Arabic accents or dialects that do sound very different and vary in intensity. In general, this Stereotype is true, it is a common quality in Arabic men. Just keep in mind that these traits certainly vary from one country or society to another and from one person to another; Religion, traditions and personal experiences are few of the factors affecting these traits . 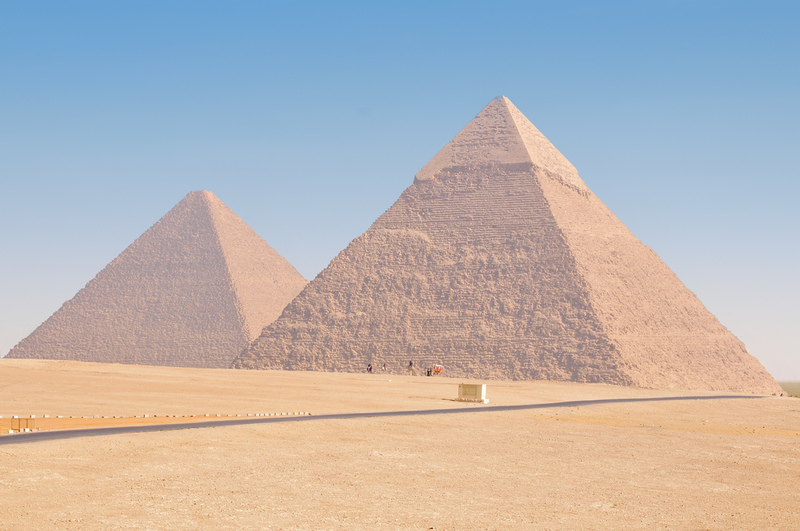 Very friendly: Egyptian people are very friendly, love socializing and will often smile and start a conversation with you. Good sense of humor: A stereotype which is quite common in the Arabic region due to Egyptian comedic movies. Those who become “Doctors”: Egyptians tend to loose their sense of humility and their friendly attitude once they obtain a higher degree of education (Example: obtaining a PHD) unlike westerners who remain humble and down to earth despite their superior education. Egyptians are very religious: Despite having a 10% Christian population and a majority of moderate Muslims, the Egyptian culture is very religious and a non-Muslim wouldn’t feel at ease at all in Muslim dominant society. Below is the trailer of the movie (لامؤاخذة), I think after watching the movie, you would get an idea about what i mean. Tunisia, Algeria and Morocco are three Arabic countries located in the Northern part of Africa. Many people assume that all Africans have black skin. That is incorrect; Algerians, Moroccans and Tunisians have an Olive like skin, slightly darker skin than that of a South European. These three countries are very similar and have unique qualities that distinguish them from the rest of the Arabic world, mainly, the presence of a strong lingual and cultural French influence. Speak Arabic in an accent which is difficult for most of the Arabic world to understand. Brave, honest and straight forward. All three countries speak french very fluently. Lebanese and Tunisians feel a strong connection despite the distant geography between both countries, this is due to the Phoenician history which unites both nations. There are Rumors (which I personally don’t believe) about the Moroccan black magic. Have you heard anything about this? Most Iraqi people see them selves as being smart, hardworking, creative and funny. Most non-Iraqi people are very influenced by the media and consider Iraqi to be violent. Knowing that Sudan is one of the poorest countries in the Arab league and the country with the lowest Human Development Index, the stereotype of poverty is an inevitable one. Sudanese are famous for being simple, friendly and hospitable. Saudi Arabia and Kuwait are two of the most religious countries in the Arab World; Citizens and expatriates residing in these countries have to abide with very strict Islamic rules. Both countries usually play a critical role in aiding the Arab world during crisis and many citizens from the Arabic world migrate to Kuwait and Saudi Arabia to find better job opportunities. Four countries located in the Levant region. Despite having similar cultural background, a very similar Arabic accent and similar physical features, the fate of all four nations drifted apart since world war II. By the end of World war II, Jordan was an English colony, Syria and Lebanon were a French colony and Palestine was handed over to the Israelis by the Allies (the World War II victors) to construct a Jewish state. Syria, Jordan and Lebanon gained their independence soon after, (I have written an article about the Lebanese Stereotypes), however, Palestine, is still drowning in the struggle of the century. Most Arabic people from other regions of the Arabic world cannot tell the difference between the Lebanese, Syrian, Palestinians and Jordanians Arabic accents. Share many qualities with Turkey and the rest of the Southern European region. In the past 30 years, United Arab Emirates, Oman, Bahrain and Qatar had become the alternative image to the strict Islamic Saudi culture. The Oil rich countries thrived with “relative” religious freedom and became icons of prosperity in the Arabic world. hospitable and friendly towards expatriates. There are mainly four main stereotypes associated with Somalia. Extreme poverty: thought it doesn’t reflect the situation of the whole Somali nation, the images of the starving children in Somalia during the 90s remains forever imprinted in my mind. Piracy: A very unfair stereotype; we have the media to blame for this stereotype. Ten million Somali citizens cannot be responsible for the action of very few individuals. Somali are proud Muslims and take love being part of the Arabic culture. Love eating banana with rice and curry. The Zawiya tribe, based in a petroleum-rich region in the east, threatened to cut off oil flow. The Bani Walid tribe decided to withdraw its men from the regime’s security brigades. And the influential Zintan tribe, allied in the past to Gadhafi’s own tribe, broadcast a statement of support for the opposition. Why is it dangerous? Because Tribalism is dangerous. I haven’t met any people from these countries nor have I heard any stereotypes associated with these fellow countries and their citizens. Non the less, Mauritania, Djibouti and Comoros are some of the poorest countries in the world and deserve more support from the Arabic world. If you have heard any stereotypes associated to these Arabic countries, please share it in the comments below. 🙂 Ofcourse, Jordanian people are Arabic too. I have not written a dedicated “Jordanian Stereotypes” article but I have written briefly about Jordan within the Arabic Stereotypes along with Lebanon, Syria and Palestine since the people of all 4 countries have great similarities and are all part of the Levant. But since you asked, I will try to describe Jordanian people more :). 1- The Stereotype: Jordanian people are always frowning and do not give a warm and welcoming smile to Visitors. We have an expression in Lebanon for someone who doesn’t smile easily (not about Jordanian People) “His face doesn’t even smile for freshly baked bread” ( وجهه ما بيضحك حتى لرغيف الخبز السخن). This is how my friend who visited Jordan, described Jordanian people and he added “Jordianian people don’t know how to treat a tourist”. My personal Experience: So up to that point, I have always assumed that Jordanian people are not friendly and are not welcoming. All this changed once I visited UAE and I met many lovely Jordanian people. 100% of them strongly defied this stereotype and changed my perspective of Jordanian people. They were friendly, helpful, welcoming, smiling so often, polite, hospitable and in fact, I can say that they are genuine friends. 2- Secondly, this is not a stereotypes but an observation :). I love how religiously moderate Jordan’s people are. Example, I have a common Jordanian friend who wears a veil, married and a mom of two children but yet managed to become a certified fitness instructor. She teaches all sort of Les Mills modules and she even takes part of Zumba. I respect and admire her and her husband because they have adopted moderate Islam and they have realized that religions are not there to deprive us from art, music, sports and social activities. Btw, it’s ARABS*, not “Arabic”…. Arabic is a language, Arabs is used to refer to a group of people. – Yemenis are always stereotyped and thought to be “pure original arabs” which isn’t true since yemenis had their own languages before they adopted Arabic and Islam such as the Sabean language during the time of ancient Saba’ (and other south Arabian kingdoms). – Yemenis are seen as Khalijis by some when they aren’t. – Most yemenis are poor. True, but many of them can be rich as well (eg Bin Laden family). – Yemenis always chew on something called khat. You seem very knowledgeable about Yemenis, may I ask how? I’m not really “knowledgeable” but thank you anyway (if you’re not being sarcastic) & the reason I know about it is because I’m Yemeni and I have read up about the country and also some parts of the Arab World and yeah basically I picked up on some facts and these are the ones that I know of. I certainly wasn’t being sarcastic; I said that you were knowledgeable because I have lived most of my life in the middle east and yet, I know very little about Yemeni people. I really appreciate your contribution, it adds a lot of of value to this post. I definitely agree with you, most Arabic food is served in Gigantic portions (Except for the appetizers and salads of course). 😀 My colleagues from Germany (each two of them) used to share 2 main dishes and one rice plate (vs the regular 2 dishes + 2 rice) because they eat less and they want to make sure that they won’t waste any food (Something which most Arabic people aren’t that concerned about, unfortunately). Having said that, I have observed that even in Arabic standards, Yemeni food is way more generous than the Arabic average, the served portion per person can feed 2 very hungry people. I know we aren’t speaking politics here, but I hope things would settle down for the better in Yemen. The Somali stereotype missed something. Somalis are lazy, dirty, unhygienic, feminine, corrupt, cowardly and slow intellectually. Their sole ambition is to move to Kenya to sell smuggled goods and they cannot even fight. They prefer killing Kenyan women and children as shown in Westgate and Garrisa university. Somalis are also not good muslims and frequently drink alcohol and chew khat. Finally, they have low self esteem about their looks (narrow chin, goat like teeth and big foreheads) and are jealous of us beautiful Ethiopians. The essay above on the Arab world was really wonderful. Very, very helpful. I am an American if Europen descent and I was fortunate to visit Jordan and Iraq about five years ago. Thanks to the lessons I learned from my parents, I did not harbor any stereotypes when I went and I was treated like a first-born son everywhere I went. I apologized for what America did to Iraq but no one cast blame on ordinary Americans. I fell in love with the culture of warmth and generosity. Now I want to see every other Arab country, especially Morocco, Tunisia, Syria and Lebanon. Your Welcome Sir Anytime and the country is your country and its your home of your home and Special Merry Christmas to you and Special happy new year to you I’m from Lebanon! I know this post was practically a year ago, but it was fascinating to read, and I just wanted to say, regarding Jordanians, they are extremely hospitable, my Grandma (Jordanian). Practically force feeds guests sweets and chocolate, and also, Syrians do barge into the house often, because they feel at home, and if you ever refuse food from a Jordanian, they will be extremely hurt, which I find weird. I loved this article, also the stereotype that men beat their wives is actually kind of true, if they become infuriated, they get physical. Which is appalling, but they think they can as the wife has to listen to the husband ALL THE TIME, I want to grow up and not be subjected to this barbaric behaviour my family possesses. Considering I was beaten up by an Egyptian man caused by his out of control jealousy, I would say they do beat their partners especially after searching the net and finding many stories similar to mine. 1000s upon 1000s of women saying they were bashed by an egyptian or Arab men kind of makes that stereotype true. Sorry but it’s true. Western women should stay away from these men because their lives actually depend on it. They are dangerous and life threatening. If my daughter came home with an Arab he wouldn’t last long that’s for sure. I want my children safe. I am sorry for what you had to go through Claudia and thanks for taking the time comment. Somalis and Djiboutians are not arabs. Arab was only given official status on entering the Arab league. Very few somalis in Somali speak it fluently. DJIBOUTI official language are french or arabic but the majority speak Somali or Afar as their first languge. Somalia joined the arab league beacuse of former President Barre wanting to gain the political and financial support from arab countries (never really happened). Uhuh. One small mistake there.. Many many Gulf citizens are anything BUT friendly to expats/foreigners.. The treatment gets worse with the decrease in ‘quality ‘ of passport you have. An African or south Asian person will get worse treatment than a White British person. Just to clarify your posting as Djibouti being one of the poorest Arab nations. That’s actually a lie. Djibouti is on route to be one of the most prosperous nations in Africa, also they do not regard themselves as Arab at all ( they are proud of their African identity) They joined the Arab league for economic participation. Also Djibouti received Islam before 99% of all Arab nations. For Somalia they do not regard themselves Arab at all, and they regret joining the Arab league. A stereotype about Somalis that Arabs have about them is their toughness. A Somali would never take any type of abuse or humiliation ( Ask the Saudi Arabians and Yemenis about that), and make people respect them. While traveling in South America, I met a gentleman and his family from Saudi Arabia, we had a nice general conversation. He is quite fond of the U.S.. In any event we exchanged numbers and have sent text messages. He seems like a very nice guy, he told me he would like to be “very” good friends with me and invited me to meet for coffee ( I was busy with my family and could not ) . I am open to friendship with anyone in the world, I have never been told someone wanted to be my “very” good friend so quickly. Perhaps it is just the Arab culture, ( which is fine ) but my concern is perhaps he thinks I might be gay or bisexual. Perhaps I am blowing this all out of proportion. Thoughts ? ?